Across coastal areas of south-west Bangladesh and Odisha state, India, Concern has been working to increase communities’ resilience to climate change and natural hazards in the Bay of Bengal region. The programme is known as ‘Paribartan’, meaning ‘transformation’ in the local Oriya and Bangla languages, and covers 204 communities, aiming to benefit over 1.2 million people. Paribartan works with communities to create plans to address climate impacts, improve their ability to cope with these impacts, test innovative practices and share lessons for advocacy and replication. This involves strengthening the understanding and capacity of state and non-state actors on climate change adaptation and disaster risk reduction. Communities undertake risk and vulnerability assessments and then work with local government to develop action plans to increase community resilience. Pilot projects for adaptation have also been implemented. These include the promotion of climate resilient agricultural practices, such as rice-fish cultivation, rain water harvesting and vegetable cultivation as well as the conservation of biodiversity. Communities have also been supported to use more efficient stoves for cooking and to plant fast-growing plant species for firewood, which protects coastal natural resources as a bio shield to reduce disaster impact. 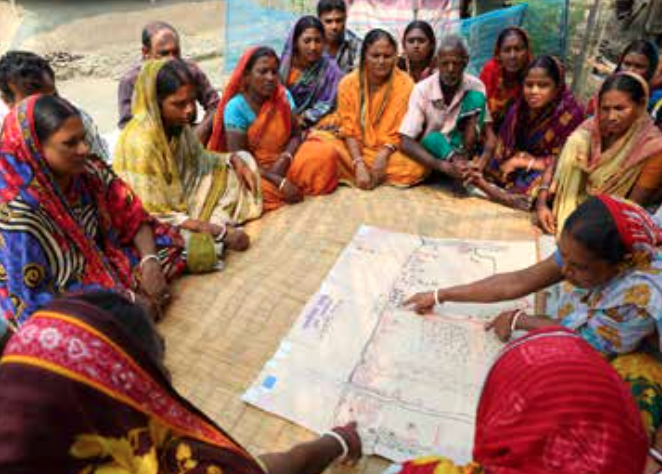 A midterm review in 2013 found that the understanding and capacity of state and non-state actors have increased, with 12 union level disaster management committees in Bangladesh and 8 village level councils in Odisha, India updating their local development plans to include disaster risk reduction and climate change adaptation measures. 30% of the target communities are successfully practicing at least three community based adaptation options to build resilience. The pilot initiatives for promoting climate resilient agriculture and integrated rain water harvesting models have also been adopted successfully, improving nutrition and providing an alternative source of income for many families. Learning from the project is being shared amongst practitioners and in multi-stakeholder fora to influence policy-makers at state, national, regional and international levels. The reports from this project will be published here in due course. In the meantime you can keep up-to-date with Concern's work in Bangladesh here.